Oyster is the common name for a number of different molluscs that live in marine habitats. With many variations of the species it’s best to leave the harvesting to professionals because only a few types are commonly consumed. Cooked or raw, oysters are and always have been regarded as a delicacy and heralded as an aphrodisiac. So go to your local fishmonger as he/she knows what’s good. Now; what to do with them? Typically when we conjure up imagery of oysters we picture people slurping them raw from the shell; fresh from the ocean with some vinegar and bread. But this is not the only way to eat them. There are many ways to dress your raw oysters and in some parts people even like to roast/smoke them. Heat up your charcoal barbecue. Once the coals turn to glowing embers place the hickory chips on the coals. 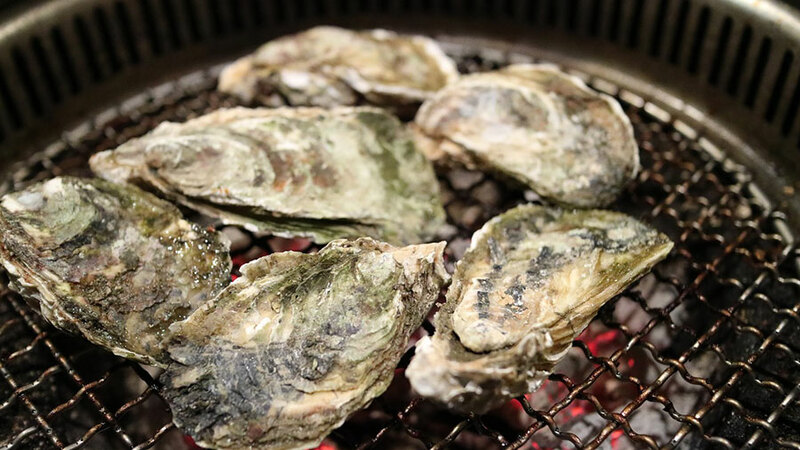 Place as many oysters on the grill as you can fit. They will cook in their own brine. As soon as they open, they are ready. Take them off of the grill and eat them with a dash of hot sauce, some garlic butter and a good craft beer. Continue until your bag is empty. Like with most things presentation is everything, oysters are no exception to the rule. So with the most aesthetically pleasing specimens going to the highest bidder for raw consumption, this leaves the less desirable looking but equally delicious guys up for grabs; and these guys, when bought in bulk can make for a very fun and tasty; yet classy cookout. Fresh oysters are not easy to find due to their seasonal characteristic. If you happen to get your hands on a big quantity you can freeze them to prolong your treasure outside of the standard season. This can be done both in the shell or shucked and regardless of the preferred method it needs to be completed as quickly as possible in Vacuvita containers or bags to minimize textural changes. Frozen oysters should only be consumed cooked and make an excellent choice for chowder soups, stews and rice dishes.